Lake Nakuru Sopa Lodge is located in a wonderful elevated hill inside the Lake Nakuru National park home of the pink flamingo’s. Lake Nakuru National Park is mainly a wooded and bushy grassland with a wide ecological diversity and characteristic habitats that range from the lake waters to the escarpment and ridges. The view of the lake from the lodge both day & night is just breathtaking. 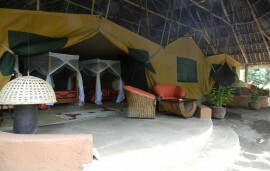 The lodge has over 60 rooms for accommodation. Lake Nakuru Sopa Lodge has 6 single, 54 twin/double, well serviced, spacious, luxurious and comfortable rooms with en-suite bathrooms. 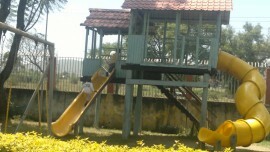 2 of which are wheelchair friendly, designed with the physically challenged and elderly in mind. 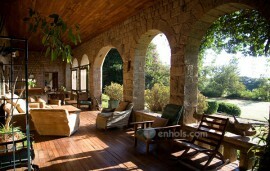 The rooms have individual balconies, allowing guests to see the panoramic views of Lake Nakuru and the National Park. 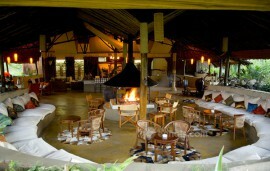 Lake Nakuru Sopa Lodge has an in house restaurant that serves both international and continental menus and a fully stocked bar. For those who want to view animals on an elevated place there is a multi rooftop with one of the most magical experiences is to dine right out in the bush and open verandahs of the main building. There is also an infinity swimming pool set facing the lake and the park.